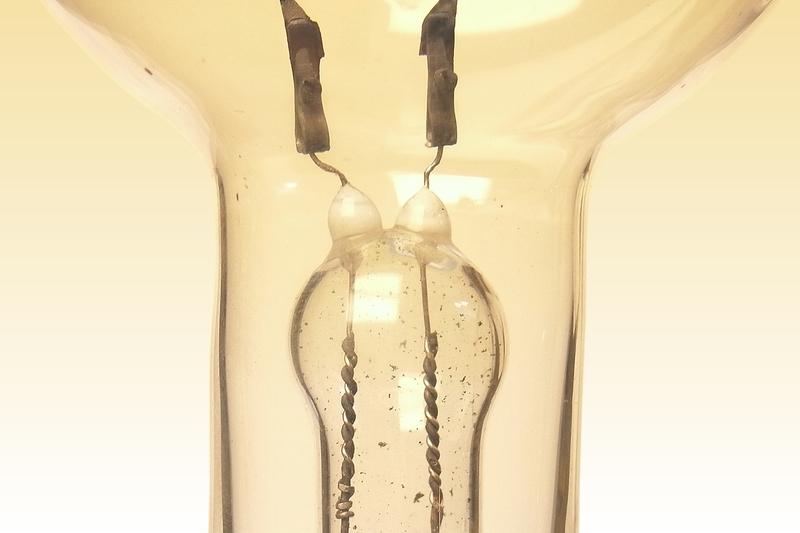 This historic lamp is believed to be one of the few hundred examples that were first commercially produced by Edison during the period late 1879 to early 1880. It is preceded only by the first experimental types with which success was achieved earlier in 1879. 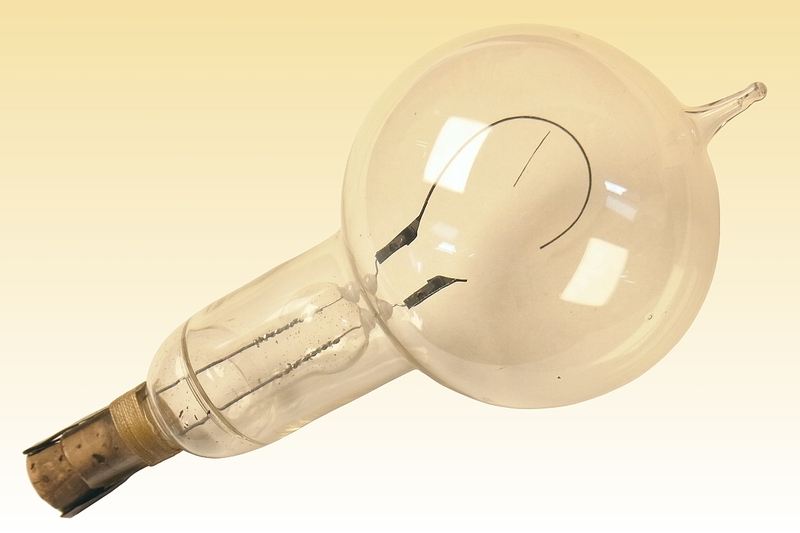 Following that breakthrough, about a hundred lamps were made to illuminate the Menlo Park laboratories for a public demonstration in December 1879, and it is possible that this is one of those original lamps. Thereafter the same design was produced commercially and sold into the early part of 1880, but the construction was improved and superseded before the end of that year. 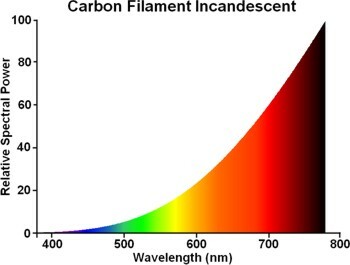 The filament is made from Bristol board cut a horseshoe shape with widened ends, and carbonised. This hopelessly delicate article is mounted with the aid of small metal clamps fastened around its ends, these being tightened with tiny bolts to exert the required pressure. The clamps and bolts are made from a dark or heavily oxidised metal. 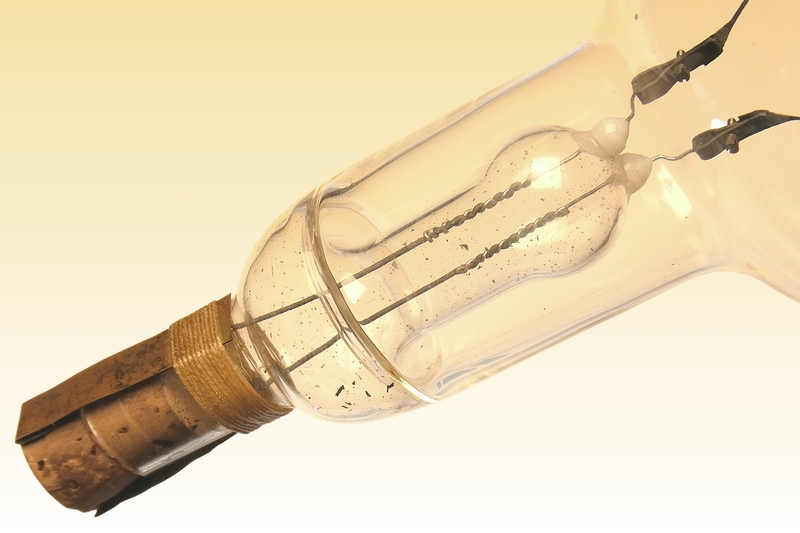 The end of each clamp is pierced by a platinum wire which extends into a bulbous glass stem. Presumably in an effort to improve the quality of the glass-to-metal seal, a small bead of white glass is present around each of the wires. An olive formed further down the stem widens its diameter for sealing to the bulb, which has been free-blown in lead glass. The stem is continued to form the base, whose terminals consist of diametrically opposed lateral copper strips. 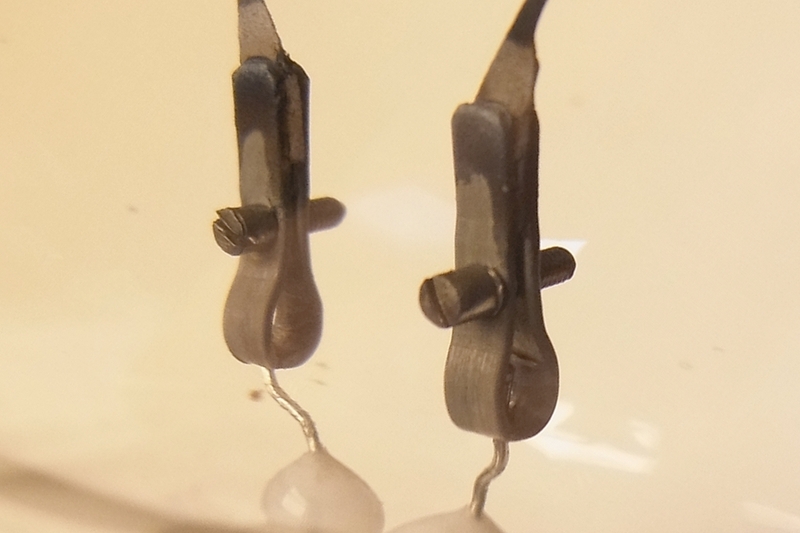 Small copper wires connect these to the platinum at a twisted joint inside the stem. 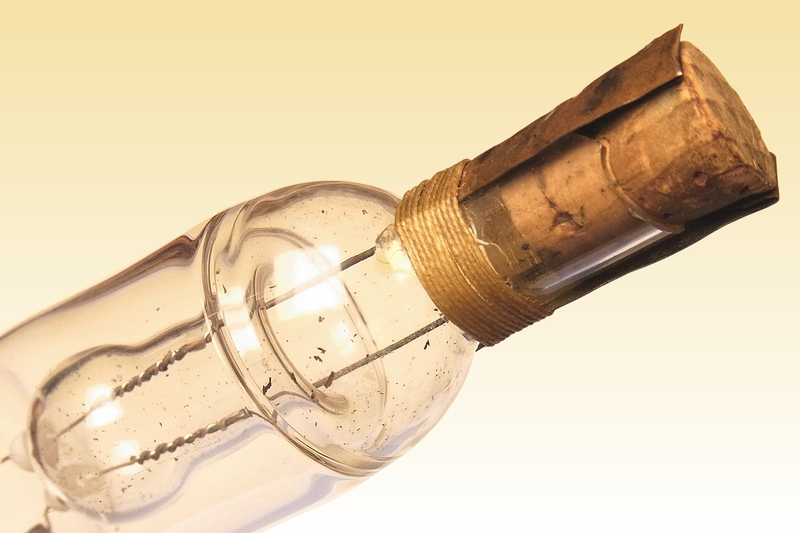 The terminals are fastened in place with cotton thread at one end, and at the opposite end with the aid of a small cork wedged into the open end of the stem. Factory: Menlo Park, NJ U.S.A.